Put the finish touches to any classy night out with this pearl necklace. 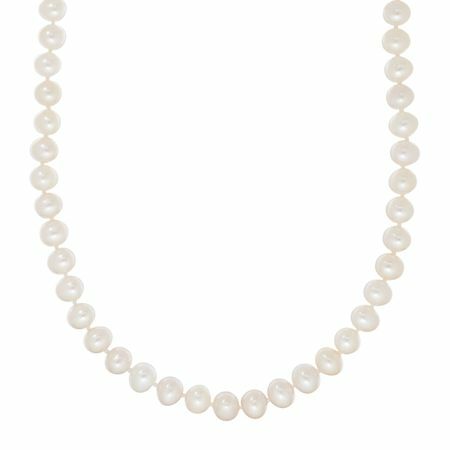 Fifty-one 7-8 mm white freshwater pearls are double-knotted into a strand and capped off with a beautiful 14K white gold single strand fishhook clasp. Piece measures 16 by 3/8 inches.